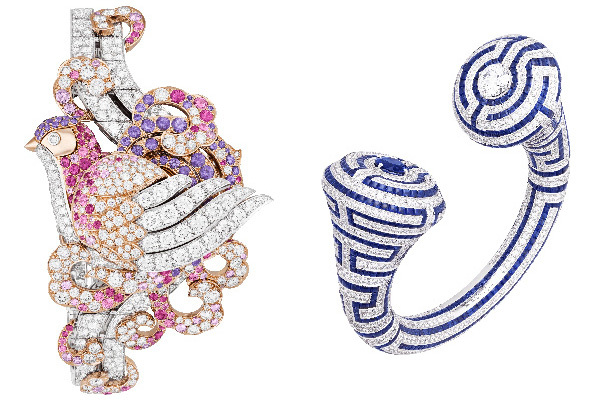 Van Cleef & Arpels has chosen the UAE, particularly Dubai, to host its newest boutique and showcase its timeless universe through its enchanting pieces. As a tribute to the long lasting bond with its clientele in the Middle East, the Maison will unveil a new Dubai Mall boutique located right before the prestigious Fashion Avenue extension, on September 17. On this occasion, Van Cleef & Arpels will present the High Jewelry collection Le Secret, which is landing in Dubai for the first time. With its familiar yet inventive nature, hidden messages and labyrinthine paths, Le Secret collection is the expression of the Maison’s creativity and ability to depict tender feelings. As a reflection of Van Cleef & Arpels’ DNA, the second boutique in Dubai features the Maison’s authentic façade, which is enhanced in a new yet timeless design. Inside, a glass chandelier creates a peaceful atmosphere to welcome guests into Van Cleef & Arpels’ world. The elegant wooden parquet floor serves as a pathway to the different rooms, in an apartment-like layout, decorated with hand-painted gold leaf panels, silk and velvet draperies surrounding bubble-shaped glass vitrines.